Hi friends! I hope you are having a great day! We had a pretty laid back day. Both my kids went to school today and they both had a great day. We are adapting to school really well but we're still trying to get a schedule down. I'm sure it will come soon. Here's a card I made for my friend's daughter who is helping me out by getting Brady from class so that my friend can pick him up from school. She's such a sweet little helper that I wanted to make her a card and get her a little gift. I used some Pink Paislee Hometown Summer elements and papers that I've been hoarding. 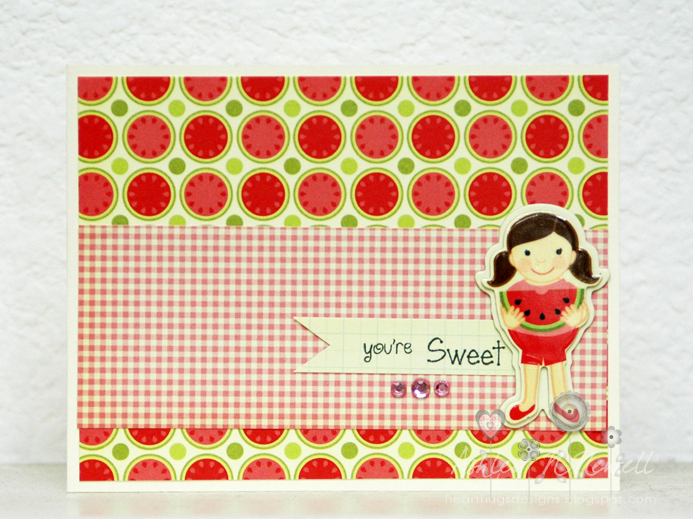 The sentiment comes from My Thoughts Exactly Sweet Thoughts stamp set. 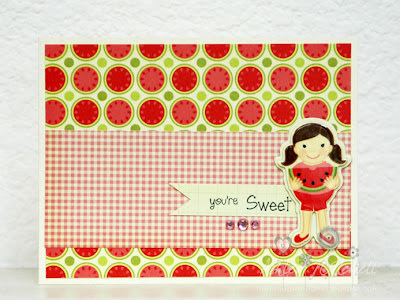 This is such a cute sentiment set!